Iguana Sell Pens | New Pen!! Pelikan Classic M200 Demonstrator!! New Pen!! Pelikan Classic M200 Demonstrator!! September comes with new Special Edition models from Pelikan pens!! The first one we bring to you is this wonderful Pelikan M2oo Classic Demonstrator Pen. 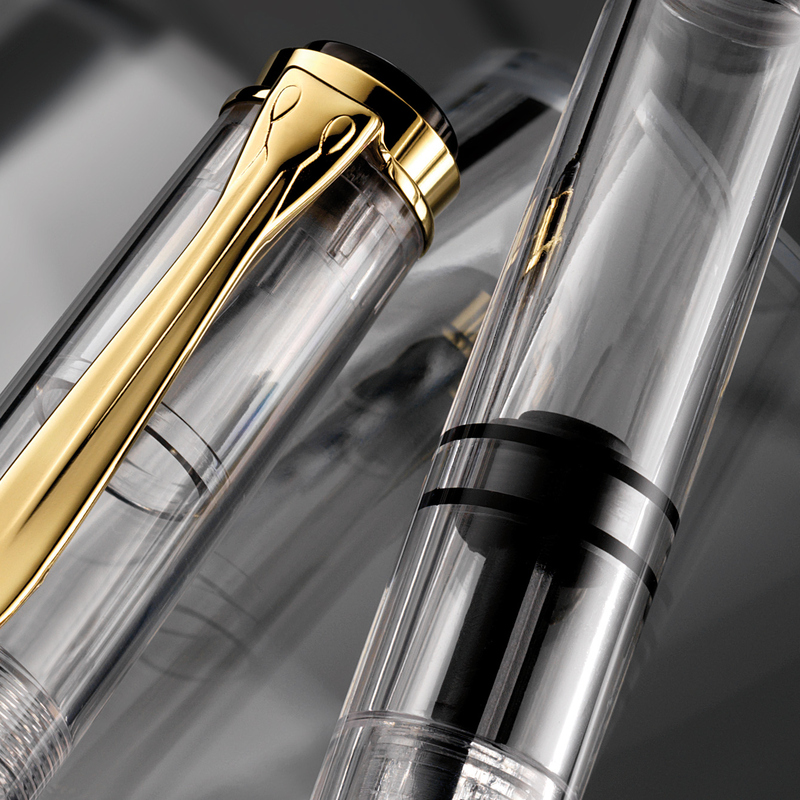 The pen is finished in completely transparent resin and gold plated trims, and presents the traditional Pelikan clip. There are already many Demonstrator pens in the industry, but this one stands out thanks to its crystal clarity. Knowing that the inside is completely visible, the designers have put special effort into making the inside of this pen as beautiful and attractive as the rest. The spirals, turns, and clearly defined lines, make this pen a beauty to be seen and held! The size of the Classic M200 series makes it very comfortable to write with, and will definitely make your writing more pleasant. You can purchase this beautiful pen at Iguana Sell for a great price! Hurry up!